2018 IOS 11.4 Release Date Tips & Tricks – The iOS 11.4 release date is probably several weeks away, but iPhone, iPad, and iPod touch users should start prepping for its arrival. Unlike iOS 11.3, Apple’s declined to offer a specific release window for its upcoming iOS 11.4 update. Apple tagged the iOS 11.3 update with a spring release window ahead of the official roll out. The company hasn’t provided a firm iOS 11.4 release date, but some believe Apple could release iOS 11.4 in and around WWDC 2018 in early June. WWDC 2018 kicks off on June 4th in San Jose, California. Apple recently released its first iOS 11.4 beta to developers and those in the public Beta Software Program which means we probably have a long way to go before the company releases the final version for iPhone, iPad, and iPod touch models capable of running iOS 11. 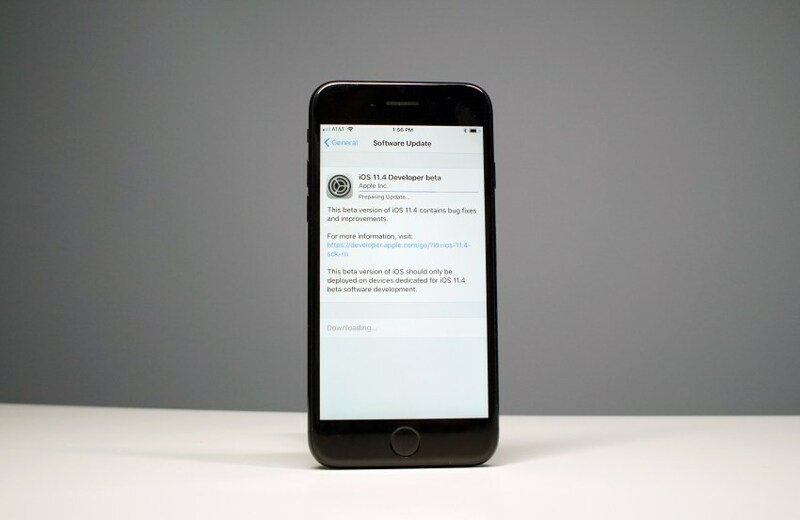 Milestone upgrades like iOS 11.4 typically sit in beta for more than a month so don’t expect the iOS 11.4 update to show up for your device in April. 2018 IOS 11.4 Release Date Tips & Tricks – The iOS 11.3 and iOS 11.2.6 updates both went through lengthy betas and we expect the same from Apple’s next, and perhaps final, iOS 11 update. The iOS 11.4 beta might drag on for a few more days, but don’t let that stop you from doing some prep work. This guide will provide you with some tips and tricks that will help you get ready for the highly anticipated iOS 11.4 release date. It’s also a great time to start getting familiar with the iOS 11.4 update’s features and fixes. We always recommend getting acquainted with an update ahead of its release so you aren’t caught off-guard by its changes. Like iOS 11.1, iOS 11.2, and iOS 11.3 updates before it, iOS 11.4 is a milestone upgrade which means it should be much bigger than your standard iOS update. iOS 11.4 probably won’t be as big as iOS 11.3, but Apple’s confirmed a number of features coming on board the update later this year. The list currently Messages in iCloud (a long delayed feature), AirPlay 2 (another long delayed feature), stereo pairing for the HomePod speaker, and the ClassKit development framework for the company’s brand new Schoolwork app for iPad. The best way to get familiar with the iOS 11.4 update is via the iOS 11.4 beta. If you don’t want to try the iOS 11.4 beta on your device, take a look at our iOS 11.4 walkthrough.